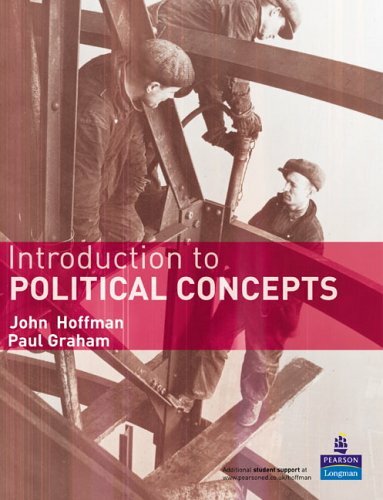 A student-focused guide to concepts such as the state, freedom, equality, justice, democracy, citizenship, difference, victimhood, civil disobedience, and human rights, this book relates political concepts to political realities through effective use of real-world examples. Power and Authority: an Indissoluble Link? Does a Broad View of Politics Help? How Modern is the Concept of the State? Test Case: Smoking in the Last Chance Saloon? Test Case: What do People Deserve? Do Freedom and Equality Conflict? Test Case: A Neet Solution? What would be Chosen in the Original Position? Would we really Choose the Difference Principle? Does the State Undermine Citizenship? Test Case: Protest and Survive? A General Theory of Terrorism? Is Contract an Answer to the Problem of Victimhood?